What is a feature article? A news feature has a catchy headline, usually a photo, it tells who was involved, what happened, how it happened, where it happened, why it happened and how it happened. 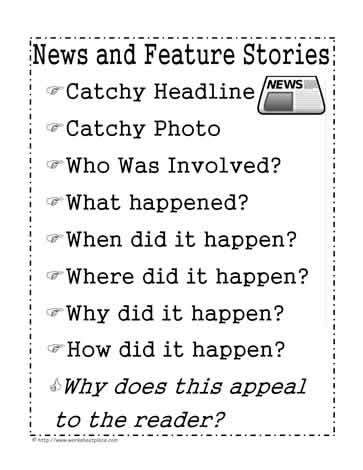 This poster is a reminder to students to help with news article writing and news feature writing.